No matter how experienced you are as an angler, you can always learn something new with every partner. 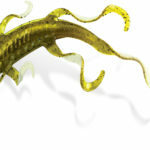 In October, bass find topwaters, spinnerbaits, crankbaits, finesse baits, worms and jigs irresistible. You throw it and bass bite it, especially in October. The lakes are scarcely populated due to many anglers being off into deer season and the kids have retired the jetskis for the summer, so it’s really quiet and peaceful. Cool days, active fish, grass to the surface, and beautiful foliage . . . it can’t get any better than fishing in the fall. 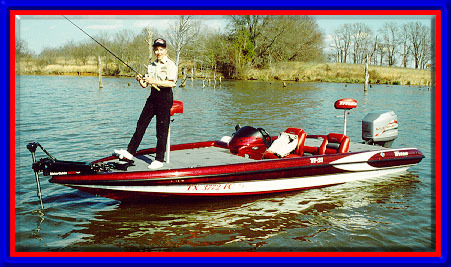 Most of the time, Norman and I take both Boots Follmar Marine Pro Staff Skeeters, however, my Ford Excursion was in the shop being painted so we pre-fished in Norman’s 202. First, we went to Five Fingers, then moved back out to Farmers flats. 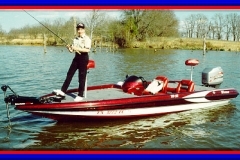 We had the Yamaha idling around, zig zagging back and fourth looking for grass until we found an 8-10 foot ridge with isolated grass clumps surrounded by water depths of 12-21 feet. Once we killed the engine, Norman looked up, and just across from us was one of his friends from back in his car racing days, Marvin Konecny. 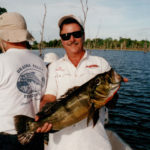 Marvin also fishes many of the same tournament trails as we do and it’s not uncommon to share the same waters. 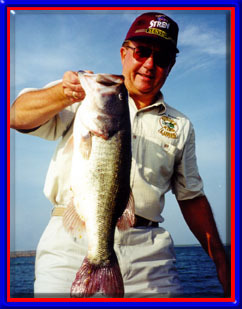 Marvin put two, back to back bass in the boat, and then Norman hung a good one. We had fun talking and fishing and trading information until the sun got up and the fish turned off. As it turned out, Marvin had a tournament the next weekend just like we did. 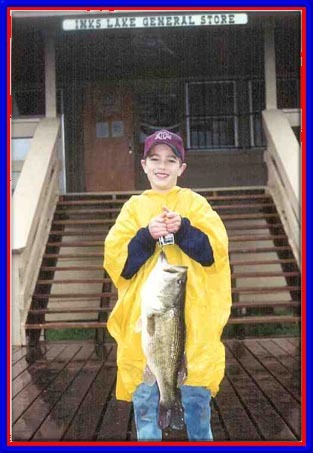 Our local Houston bass club, Port City, had a draw tournament scheduled for Rayburn for the next weekend. Quite a few of our members don’t like draw tournaments, but both Norman and I do. 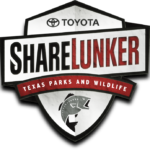 It gives the new members an opportunity to fish with some of the better anglers in the club. They learn new waters and have a chance to observe the skills and presentations of the more experienced anglers. A lot of people think all you have to do is get a bass boat, get on the water and catch fish, forgetting there is a learning curve! Many new boaters try to learn how to fish and run the boat at the same time, which proves to be overwhelming and frustrating. It’s always good to fish in someone else’s boat and learn new techniques. 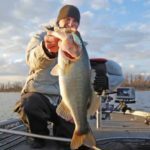 This gets the new bass angler excited and helps develop the skills they need to be more successful. 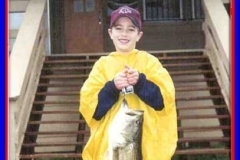 For this reason, draw tournaments can be lots of fun and mutually beneficial to all anglers. 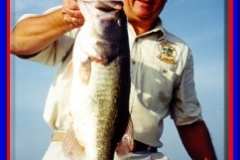 And, in my case, the reason I joined Port City bass club was to learn from the men. Every time I fish it’s a learning experience and I seem to always be taking lessons! At first light on Saturday, Gary Miettinen and I headed my Skeeter 210 to Five Fingers to fish a grassy point. Within a very short time, I had one take off with my Zoom Watermelon Red Trick Worm. Unfortunately, she jumped at the boat and spit the bait back at me. My partner was fishing a Carolina-rigged Trick Worm and he boated many more fish than I did, before I switched over to the Carolina rig. We only caught one keeper in Five Fingers, so we moved out to Farmers Flats where we continued to work our Trick Worms and Carolina rigs in 8-11 foot water along scattered grass lines of a mid-lake flat. On this day, Gary proceeded to have a field day, whatever he threw, he connected with, and could do no wrong. When the fishing slowed down, we went back to Five Fingers and in the middle of the day, with 95 degree heat, we decided to look for them in the shallows under the matted grass. Gary caught his biggest bass of the day there! Eventually, I did catch a keeper and saved face by at least having something to weigh-in Saturday. The second day of the tournament started off exactly the same, only this time Gary lost the first fish… Directly, I stuck one and couldn’t get her head turned. She buried up in the grass and broke me off… Gary continued to give me fishing lessons and I tried very hard to duplicate his techniques. Sunday’s fishing was much slower and the bite was even lighter. Norman continued to fish Farmers the entire day and Gary and I alternated back and forth between Farmers and Five Fingers. At the end of day two, Gary and I were leading (although I only contributed one small keeper to our team total each day). Norman had to fish by himself due to an odd number of members fishing. Our club fishes a team format and according to club bylaws, the odd member gets to draw a name at the conclusion of the tournament and add that member’s weight to their’s in order to come up with a team weight. As it turned out, Norman ending up drawing the second place team member, Rusty Traylor, and when their weights were combined they ended up taking over the lead of the tournament, collecting all the side-pot money and Gary and I were bumped to second place … oh well, that’s fishing and the luck of the draw! I was glad for Norman, because this win allowed him to take over the lead in our Club for Angler of the Year and with only two tournaments left, he will most likely remain in the lead! In hindsight, there are several things Gary and I did that cost us the tournament. The first was going back and fourth between two areas. Even though I’m inclined to hit 6-8 spots in a day, we limited the running and gunning to just two spots. I knew there was a big concentration of fish out on the main lake, and opted to go somewhere else in addition to that spot and it cost us! The second and probably the most important thing we could have done, was to fish the whole area of Farmers instead of just one small portion of the flat. All we needed to have kept the lead was a half of a pound! 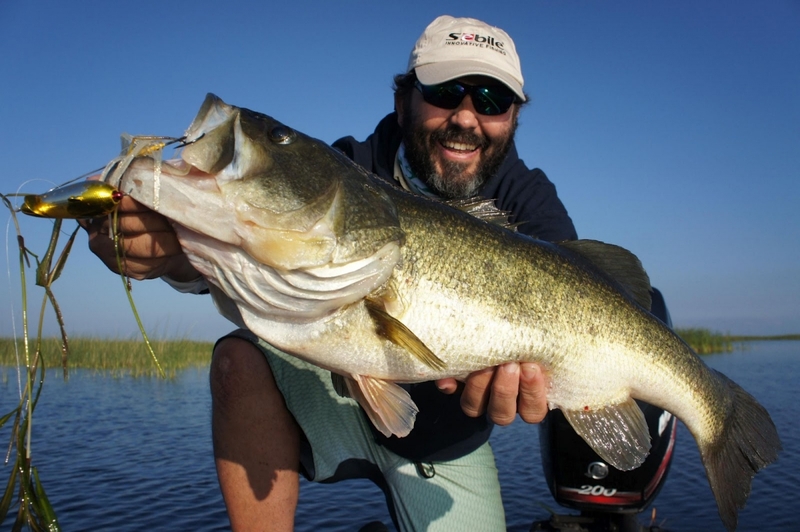 In bass fishing, one never has all the answers or holds all the cards. It’s always a learning experience, which is what makes the sport so challenging!